Do you want your business to be found by your customers living in the neighborhood? Conceptually, local SEO is very simple. It’s a strategy to associate your brand with a specific location, usually a city or a region, so that it appears in local searches. For example, if you own a taco bar in Chicago, Illinois local SEO can ensure your business appears for people in Chicago searching for taco establishments, or for people looking for taco establishments in and around Chicago. The process is more complex than this, but the basic concept is easy to understand. The widely known speaker, trainer and coacher in building your business and increase your sales areas, Lorand Soares Szasz offered me the challenge to optimize one of his videos in order to be found on 1st page of Google for keyword…”lorand soares szasz“. At a first glance you may think it was a nice and easy gig, but since this guy it’s not just a “name” but a “brand” the project was among the most challenging ones for me…. Finally, despite the fact that I don’t own a beauty salon I’ve ranked a video for this keyword “cel mai bun salon de infrumusetare din pitesti ” which stands for “best beauty salon in pitesti” in english, just for fun 🙂 and for potential customers like you! 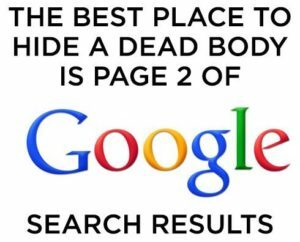 Would you like to be found on 1st page of Google with a video for your business helping you to get more customers ? Then fill in your best e-mail into the form on the upper corner of this page and I’ll contact you as soon as possible!